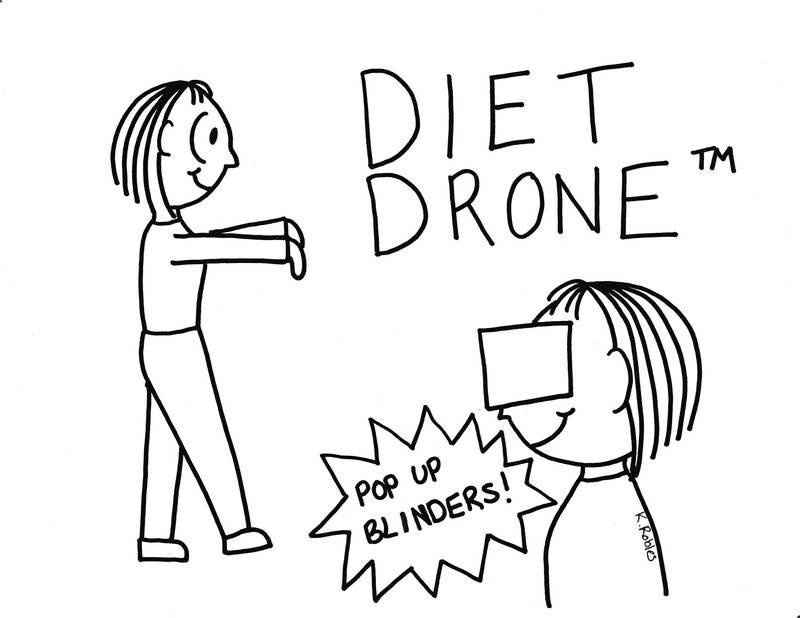 Mindless Diet Drones: Become One Today! Can’t seem to stay on track with your fitness and healthy eating goals? 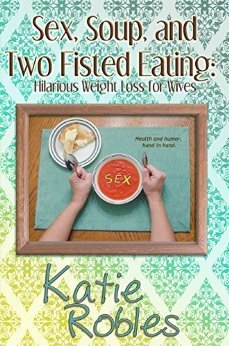 Diet Drones™ can help! When you become a mindless Diet Drone™, you’ll stop thinking and start doing. Deciding whether or not to exercise can be time consuming and leave you feeling like a failure. Don’t suffer through agonizing indecision again! With Diet Drone™, you decide the frequency and intensity of your exercise, press the Activate Drone button, and you can stop thinking about it. Your Diet Drone™ self will exercise whether she feels like it or not. Diet Drones™ stick to a pre-determined exercise schedule. When life happens and that schedule is interrupted by sick children, snow storms, or dentist appointments, Diet Drones™ adjust to the day and simply return to their pre-determined schedule after the interruption. Give a Diet Drone™ a shopping list and she’ll stick to it, buying only what is needed. Diet Drones™ are pre-programmed to avoid the ice cream and cookie aisles and come equipped with automatic blinders that pop up when passing a bakery or racks of candy. The secret to Diet Drone’s™ success is its patented Second Thoughts Blocker™. Once you’ve made a healthy decision, you’ll never talk yourself out of it again! Becoming a Diet Drone™ is as easy as 1-2-3. Decide on your health goal: weight loss, fiber increase, touch your toes, etc. Choose a plan of action to reach your health goal. Select exercise activities and frequency, bedtimes, beverages, even menu items and portion size. Push the Activate Drone button and let your brain take a back seat. Your Diet Drone™ self will mindlessly follow your chosen action plan. Diet Drones™ don’t stop for hormones. They don’t get bogged down in guilt. They don’t agonize over certain body parts and declare them hopeless. They march toward their goal because that goal is important because you are important. Stop playing mind games and join our mindless ranks today! Diet Drones™: the way “someday” becomes today. My swim drone is what gets me into the pool when I don’t feel like going. Lol, yes! Swim drone has to take over until after the first lap.